I love recipes that involve baking so that there is less mess in the kitchen and if the prep can be done a night before it’s a total win-win! A delicious Tandoori Baked Chicken recipe by My Halal Kitchen. A delicious crispy fried okra recipe that can maybe replace pakoras? OK, who am I kidding, there is NO replacement for pakoras. Follow this link for the recipe. A stuffed roti recipe by Fauzia’s Kitchen Fun. That can be great for both Aftari and Sehri. Do remember though that red meat will make you more thirsty later in the day, so best to have this for breaking the fast. Chicken Pulao is always a great idea! Eat with some yummy raita and kachoomar salad, making it perfect for hot summer days. Recipe here. We all need some Rooh Afza in our life in Ramzan! Here’s a fun way to incorporate it in a dessert by Raj from Pink Chai Living. Recipe here. This Meethi Dahi Phulki recipe by Food Fusion is perfect for the day you want to treat yourself or some guests at Aftari! 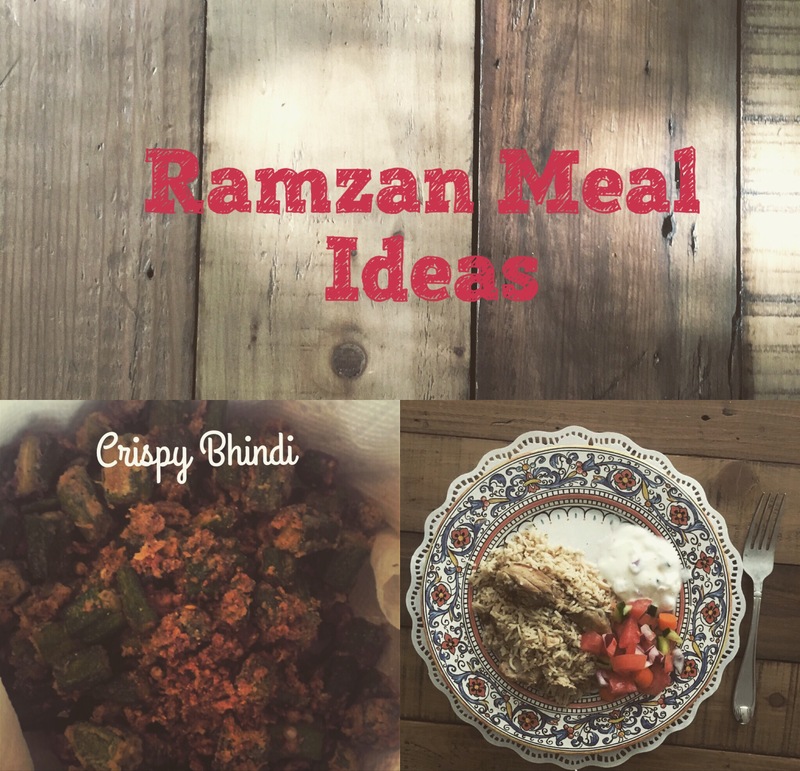 Hope these meal ideas for Ramadan help you and your family! What do you like to eat during this blessed month? Next Post Book Review and Contest: My Eid Mubarak Storybook!